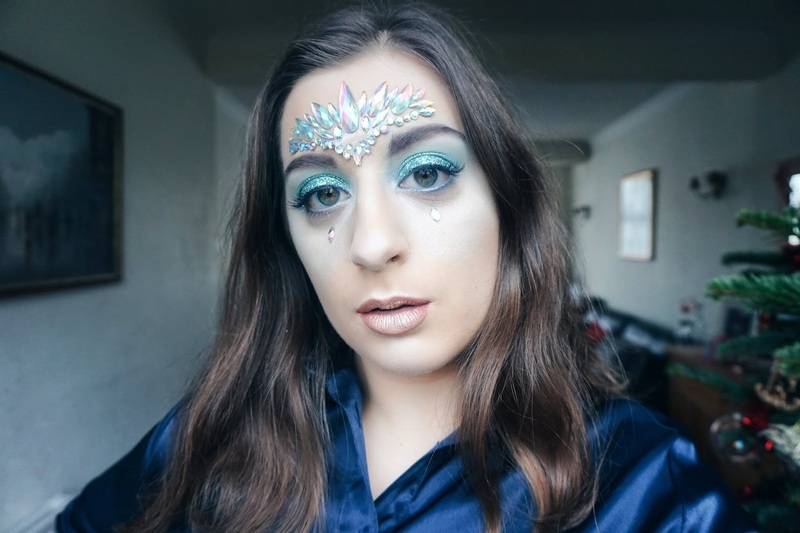 Welcome to the second part of this mini series for the festive season, I hope that you are all just as excited as I am because the Ice Queen is here! 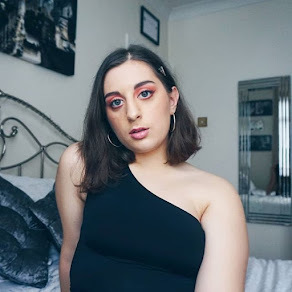 We all know that around this time of year, the festive season is not only good for those glamorous looks you can wear out to work parties or family gatherings but also for those more creative looks that allow you to transform into an entirely new person! The look in this post was so fun to create and I loved the amount of collaboration between Elena Pylarinos MUA and I! Her abilites are nothing but extraordinary and the way that she works with the glitter pigments we've been playing around with is incredible! 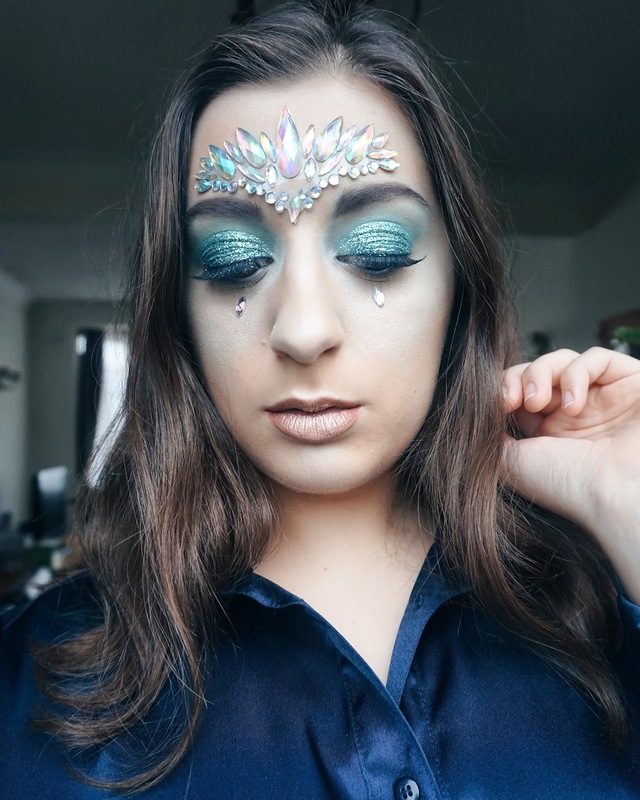 She is ALWAYS so creative and loves to invent new ways of making different holidays/occasions more special and unique through the makeup looks that she creates! 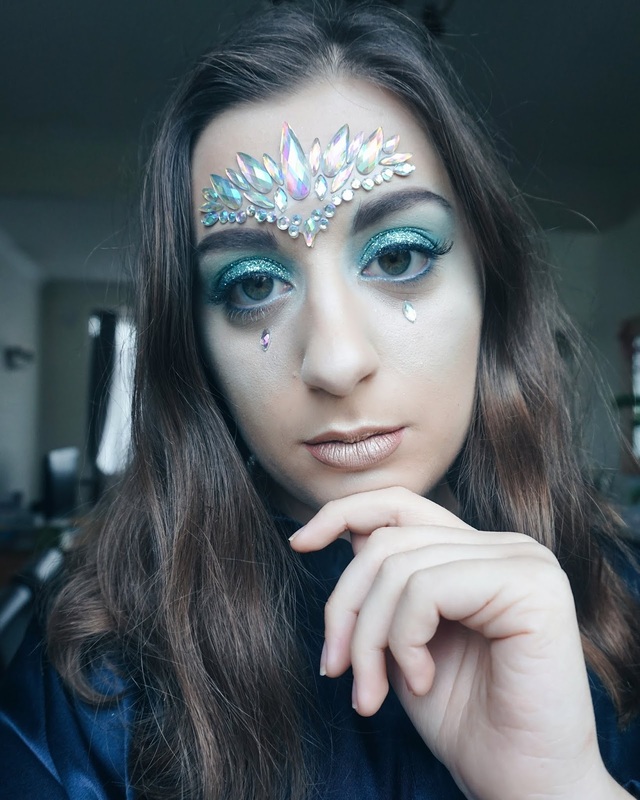 The Ice Queen was certainly no different and she definitely nailed the pale complexion and the frosty look of the eyes with the Helen E Cosmetics glitter pigment in 'Ice Blue'. 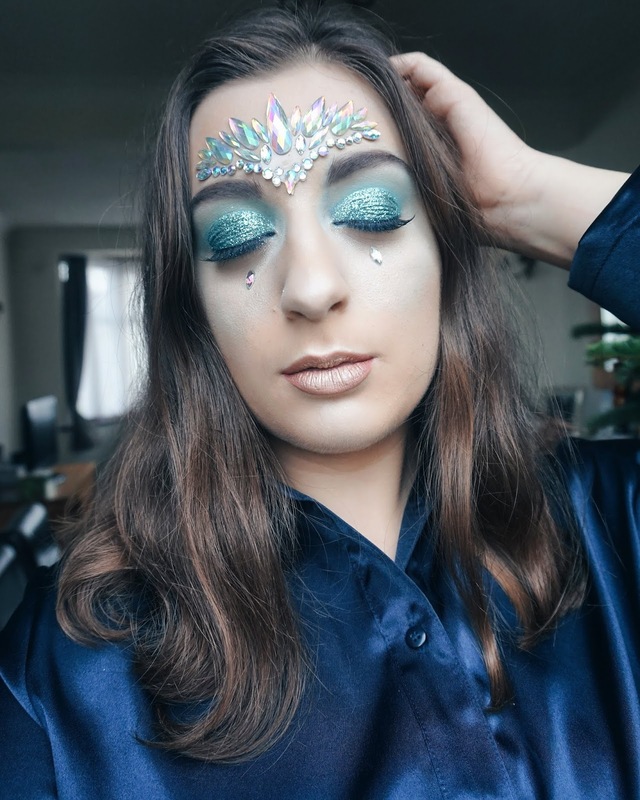 The face jewels were my favourite part though as they ensured that the look came together and resembled the cool, icy feeling of the Winter, Christmassy month of December! 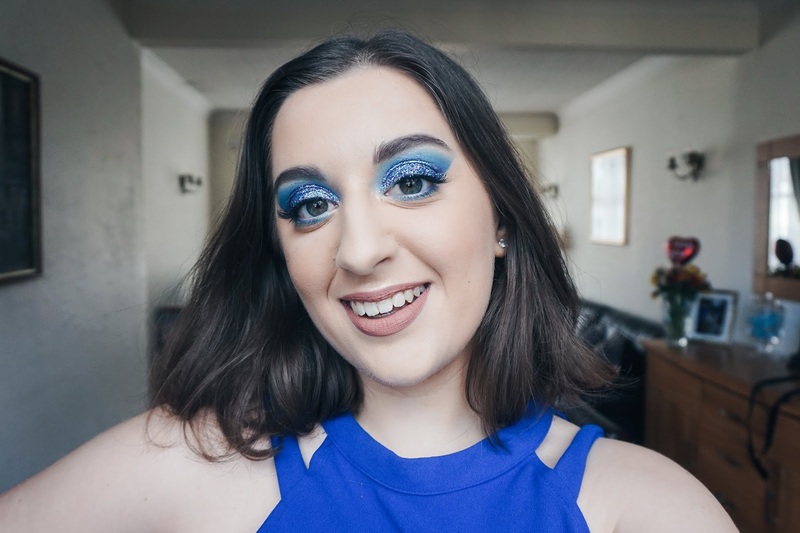 Be sure to let me know in the comment section down below if you're into getting into wintery costumes and taking on the role of a brunette-Elsa style character like I did! What's your go-to look for Christmas? Let's chat! FACE: MAC Cosmetics Prep + Prime Natural Radiance in Radiant Pink // MAC Cosmetics Studio Fix Fluid in NC15 // Maybelline Fit Me! Concealer in Fair 10 // MAC Cosmetics Prep + Prime Transparent Finishing Powder // The Gypsy Shrine Unicorn Crown Face Jewel. EYES: Helen É Cosmetics Fixing Gel // Helen E Cosmetics Glitter Pigment in Ice Blue // Duo Striplash Eyelash Glue Clear White // Ardell False Lashes in the style 'Wispies' // Benefit Cosmetics 'Roller Lash' in Black. LIPS: NYX Cosmetics Slide On Lip Pencil in Alluring // MUA Luxe Velvet Lip Lacquer in Tranquility (applied highlighter on top).